I’ve had a little trouble with my guys being steady-to-wing-and-shot. One of the things I’ve done and it seems to be working, is that rather than getting them to simply whoa when the bird flushes, I freeze and really focus on the bird as it flies away. Because I’m motionless and concentrating on the bird, the dogs will do the same. I do the same thing unconciously, obeying that same command! 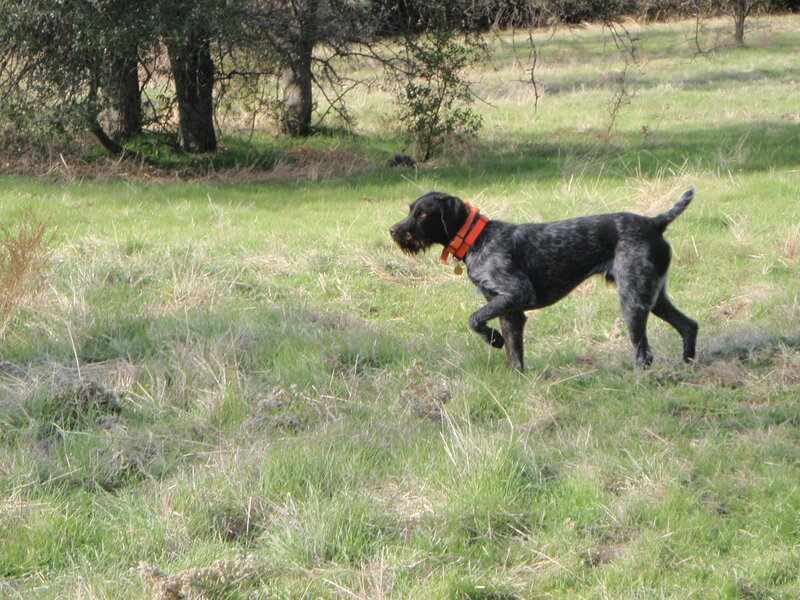 In training, I often keep my eyes totally on the dog, not the flying bird. It might help keep him steady, you never know. Would love to! Hope all is well.